Today I am going to start the series by telling the Style Story of 23-year-old Dublin Blogger, Damien Broderick of Damien M Broderick. I have met Damien recently at the Irish Bloggers Conference and if you follow him already, you will already know that he has great style and impeccable taste in Mens Fashion. Enough of my babbling I am going to let Damien tell you his Style Story. A) I knew I was interested in fashion from a young age. I then studied photography and that gave me an insight to fashion and I was hooked, I found my own style and educated myself. A) My style Icon would most definitely be ether David Gandy or Johannes Huebl, you can see they both have similar style by mixing tones, very tailored and elegant. They are modern gentlemen. A) Good question, to be honest my mam and dad don’t dress “fashionable”. My grandfather wore a grey suit and tie every single day, even after he retired. I love that about him. I think I get my personality and morals from my dad, but my grandfather is my style inspiration. 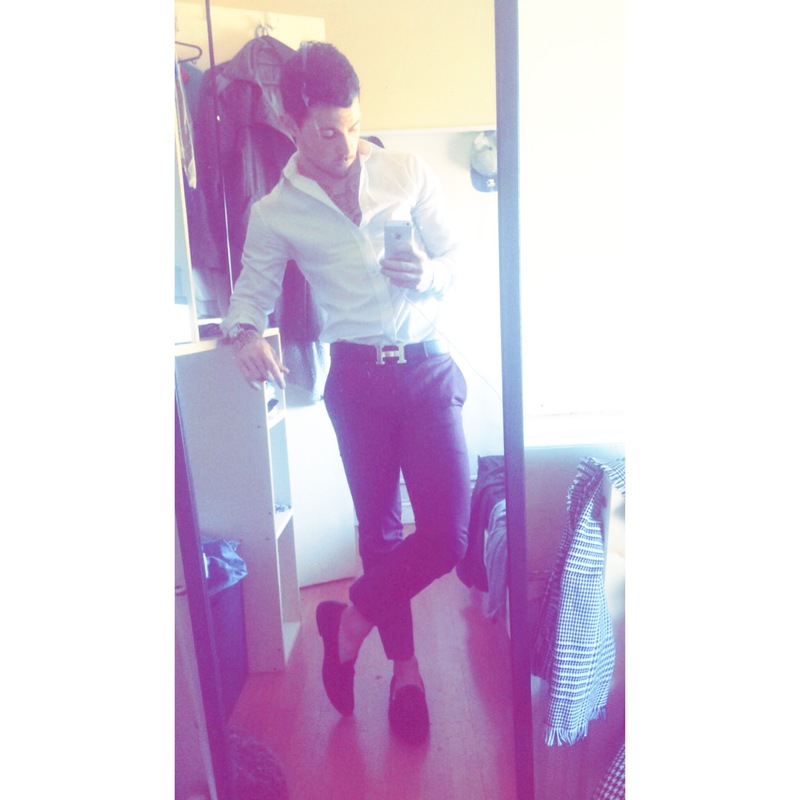 A) Most of the time they think I dress well. But as I said they’re not very fashionable, so something’s I wear they question. But sure, so does everyone else. First they laugh then they copy. So they say. A) My favourite item, good question. It would be either my grey tweed suit or my white shirts. I’ve got somewhat of a reputation for the white shirt. I’ve about 16/17 of them and always 1 not opened. If I open the brand new one I’ll go out and buy another. A) My favourite outfit. I’d say it would be either of the two below. First is a blue hue type outfit. 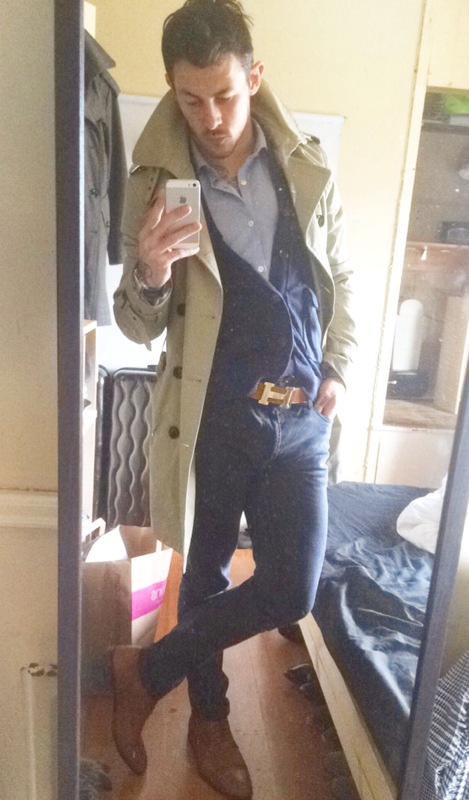 Navy denim from h&m blue shirt from m&s blazer from Zara and boots from ASOS. It’s smart clean classy but casual. With the same shirt jeans and boots. I went for a cardigan from new look and trench. Just adding a little layer on a colder day can really bring a look to life. Hmm, I’d say when I was younger. I dressed like a rapper and then grew out of that and dressed like a member of fall out boy in their prime. Thankfully I’ve no photographic evidence. A) Yes and no. Clothing I wear everyday I don’t get attached too. Every time I wear something I turn the hanger to face the other way. In 6 months any hanger facing the wrong way gets thrown out. If I haven’t put it on in 6 months I’m never going to again. The only thing I keep are old football shirts. I’ve 3 huge bags of them, old United and Celtic shirts as well as all the past teams I’ve played for myself. A) I’d say yes. It has helped me find my style and go beyond just wearing a suit, helps me find smaller independent brands, and gives me ideas on what people are doing. Colour and patterns. Outfits they’re putting together. Unfortunately I’m not a super rich Italian tailor wearing a different Rolex to post up on Instagram everyday. But it’s nice to look at. A) Tie, everyday of the year. I have worn a bow tie. But I find a tie is more elegant, classy you can tie it different ways and they have different textures. Although the bow tie does have its place in the world. Wouldn’t be wearing a tie with a tux now, would you? A) Both. Personally I wear boots/loafers or shoes more. But I think every man should have a pair of brogues and boots. 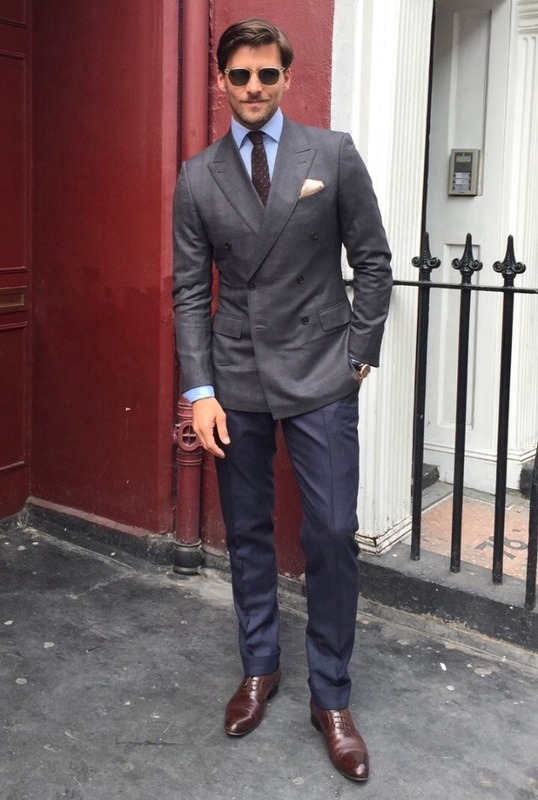 A) Every man should have both but of stuck for one go for light grey, you can wear it with navy, black or brown. So it’s more versatile. Shopping smart is an investment. A) I’m more of denim guy myself. I do own chinos. But if I’m not wearing slacks I’ll be wearing jeans. Final Question If you could locked into a High St store for a late night after hours shopping spree which one would it be and why? A) Does Brown Thomas count as a high street store? If so I have two words why, TOM FORD! If that doesn’t count. 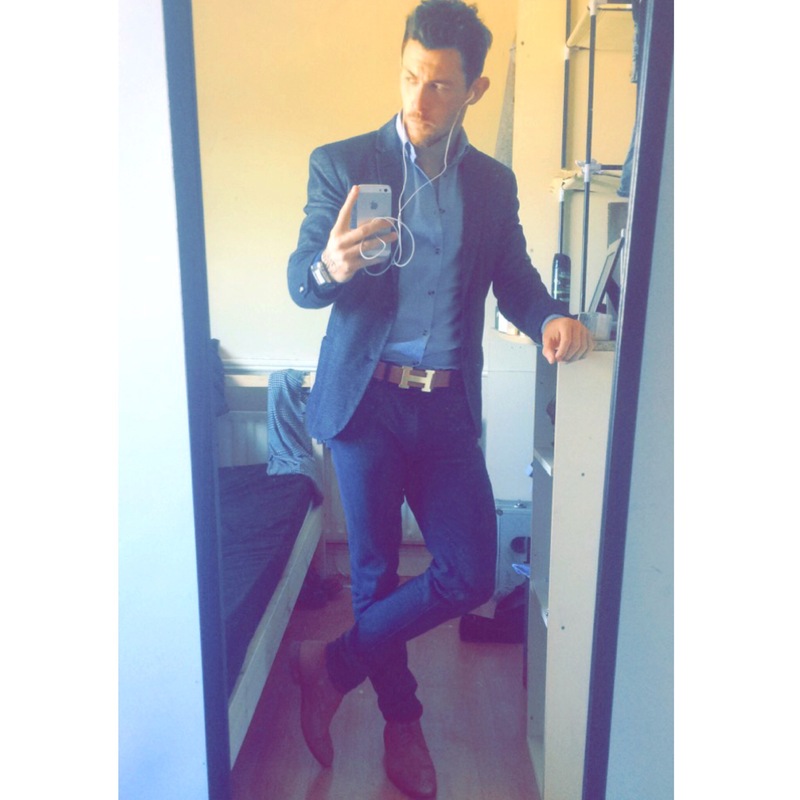 I’d say Topman, huge selection of formal wear and accessories from pocket squares to shoes.